Daniel Wolfe’s directorial debut (co-penned with his brother, Matthew) opens with lingering shots of the misty, wind-blasted Yorkshire moors, a ruined church, and decaying industrial towns, set to the words of Ted Hughes’ poem, Heptonstall Old Church, read by a young, male, British Asian voice. The stunning imagery from cinematographer Robbie Ryan immediately recalls another of his works, Andrea Arnold’s Wuthering Heights, and also Clio Barnard’s incredible 2013 film, The Selfish Giant. It sets an almost mystical, dreamlike tone. The natural, wild landscape is beautiful and harsh, indifferent to crumbling medieval chapels, dying towns and human suffering. 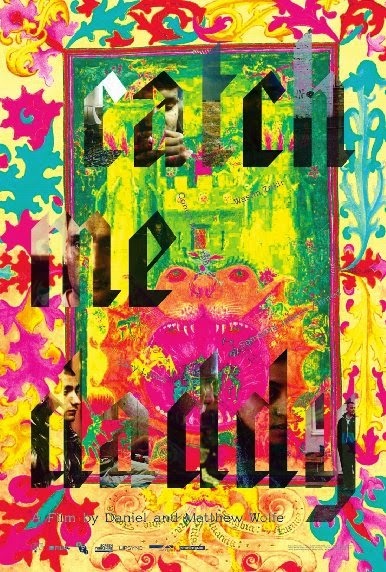 Indeed, Catch Me Daddy is not kitchen-sink realism. It’s a Western set in the West Riding. Having drawn comparisons with The Searchers and Winter’s Bone, and inspired by a spate of “honour killings” (for want of a less egregious term) of young British Asian women, Catch Me Daddy is the tale of Laila, a British Pakistani teenager who has fled her family to live in a caravan with white Scottish boyfriend, Aaron. They get by on Laila’s wages from her job in a run-down hair salon, and take the edge off the stress of staying hidden by smoking and imbibing various narcotics. But things go very bad very quickly when Laila’s father sends a motley crew of family and local ‘heavies for hire’ to bring his wayward daughter home. Laila is a lone female in a world of men. There are no sisters and no mother figure present. The only time she attempts a night out with her employer, Laila is forbidden from leaving the caravan by Aaron. While he maintains he only wants to keep her safe, Aaron displays hints of the controlling behaviour which drove Laila away from her family home. Throughout the course of the film, we see her agency stripped away until the shocking and inevitable climax when she is reduced to incoherent wailing, her life in the hands of a father who cannot even bear to look at her. First time actress, Sameena Jabeen Ahmed is outstanding as Laila. Her hypnotic green eyes, increasingly shot through with broken capillaries from the dope and crying, become distressingly blank as Laila’s situation grows more desperate, and she more resigned to her inevitable fate. In one chilling scene, Laila and Aaron seem to have made good their escape until their taxi driver starts making overtures in Laila’s mother tongue, alienating and angering Aaron. Suddenly this cabbie’s humorous complaints about his wife and children aren’t funny anymore. Similarly, it’s hard to read the scene in which Junaid – head of the Asian contingent of this ‘search party’ – takes his baby daughter to have a 3D laser-cut image of them made into a paperweight, as anything other than the suggestion that a similar doom awaits her if she doesn’t toe the line when she’s older. The foreshadowing and symbolism in the film add to the hazy, smoke-shrouded tension. A hawk tears at a dead chick. A snake writhes in the flat of a drug dealer, while Laila – sedated – waits to learn what will become of her. Men with pitchforks lurk in the distance, burning crops as Laila and Aaron trudge through the heather. A bottle of nail polish is carelessly spilt, the thick liquid glugging out onto the worktop. Wolfe’s music video background is apparent in a scene in which Laila and Aaron dance, stoned, to Patti Smith’s Horses. The blistering soundtrack also features the likes of Nicki Minaj and Tim Buckley, these songs providing moments of release, while the pervading sense of almost unbearable dread and foreboding is built with a throbbing and discordant score. Catch Me Daddy is not an easy watch. The subject matter, partly improvised dialogue, dizzying camera work, and slightly hallucinatory nature of the audio and visuals conspire to make the feature an uncomfortable viewing experience. The ending too, I suspect, will prove divisive, as will the lack of real insight into many of the characters and their motivations. But that’s what makes Catch Me Daddy so powerful and terrifying. Real evil is often mundane and senseless. Inexplicable. By refusing us answers, Catch Me Daddy leaves us feeling helpless. Bleak and unrelenting, with touches of lyrical beauty only serving to heighten the tragedy, it’s not a comfortable experience, but it’s one I would urge you to undergo anyway. This entry was posted in Uncategorized and tagged catch me daddy, daniel wolfe, drama, film, review. Bookmark the permalink.